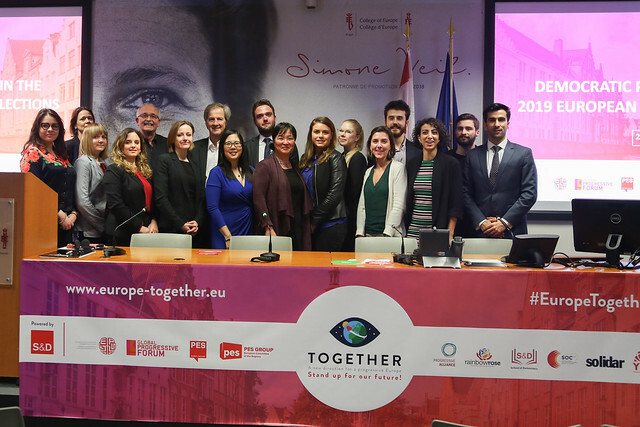 Read the adopted Together Bruges declaration here. Thank you all! It was a great Together event at the College of Europe in Bruges! Ideas and motivation: this is all we need to change #EuropeTogether. Check out the final Bruges declaration adopted at the event on “Democratic Participation in the 2019 European Parliament elections,” to which many of you have contributed. A special thanks to our Ambassadors Maximo and André Branco Pereira for their contributions, but also Maxim Vandekerckhove for having hosted us in his city. The Together community is growing. Have a look at our platform to learn more on how to get involved!